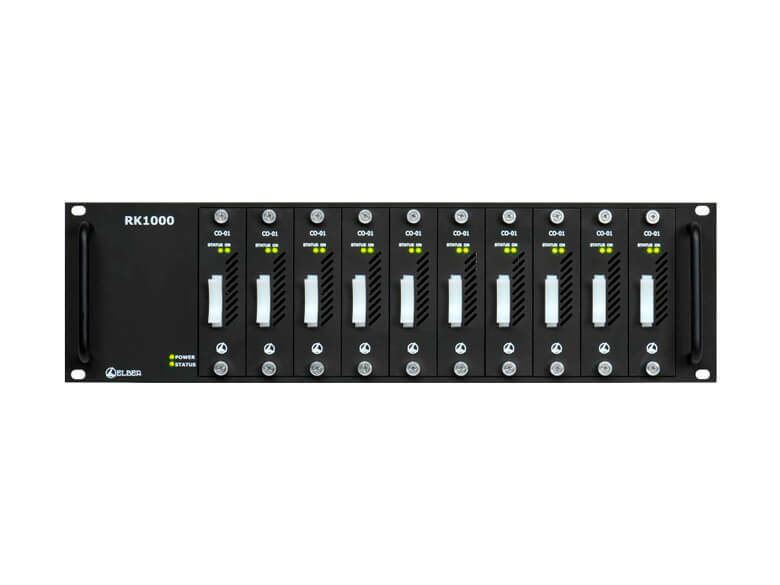 The RK1000 can be used by broadcast operators in transmission networks for the DVB-ASI signal di¬stribution over satellite or terrestrial networks as well in studio environments for the routing or the distribution of SDI/HD/3G-SDI/DVB-ASI signals. The device is composed by a basic 3U 19" chassis that can host up to 10 hot-swappable modules, al¬lowing an easy maintenance and stock management. The back panel is composed of independent units ac¬cording to the type and the quantity of modules instal¬led; the panels are connected to an internal motherbo¬ard, as well as the front panel modules. The change-over module, called CO-02, allows up to 3 inputs (Main, Back-up and Disaster Recovery) and has 7 outputs; in case of DVB-ASI configuration, the module operates a seamless switch between the main and the back-up input, evaluating the TS content regarding the TS Loss, Sync Loss, PAT Loss, Continuity Counter Error and TEI (each one can be enabled/disabled through the user interface). In case of 3G/HD/SD-SDI signals, the switch evaluates only the signal presence. The switch can be revertible or not revertible, automatic or forced. Additional features are embedded to improve flexibility and safe use. 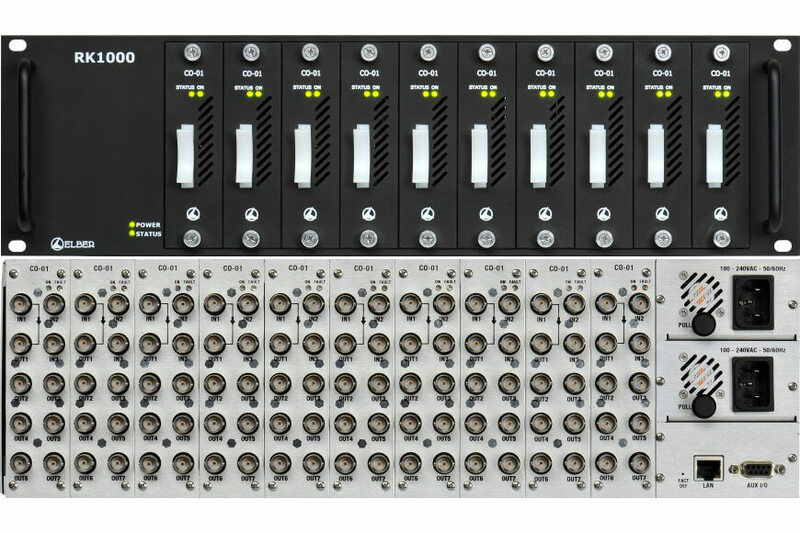 Each module can be configured as a ma-trix, where user can assign to each output connector the source selected between input 1, 2, 3 and switched signal. 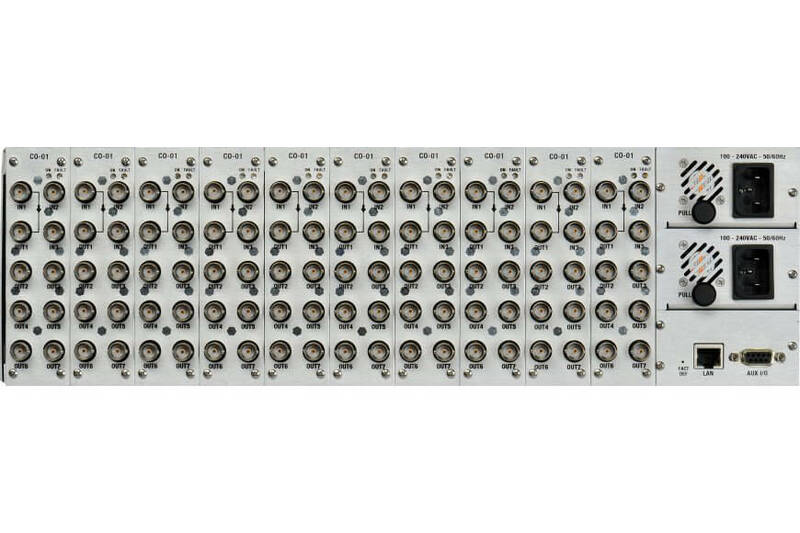 Furthermore, different back panels are available depending on the application; main input pass-through, last selected input pass-through, main and back inputs pass-thourgh. The management software offers a complete control of the device's parameters, using an intuitive user interfa-ce equipped with an http native web interface, develo¬ped with particular care for an easy and immediate use, and through SNMP.